400th participant at Space Challenges Junior | Special Concepts Ltd.
Special Concepts is proud to celebrate the 400th Kid Space Cadet at Space Challenges Junior program / http://www.junior.spaceedu.net /. The program was founded by our team and supported by Telenor Bulgaria. Space Challenges Junior is a unique program, providing free education in space science and robotics (completely hands-on experience) for kids between 5 and 10 years old. We have assembled an amazing team of young mentors and educators, launched unique educational website and initiated more than 80 workshop sessions with diverse groups of kids / http://www.junior.spaceedu.net/projects/ /. 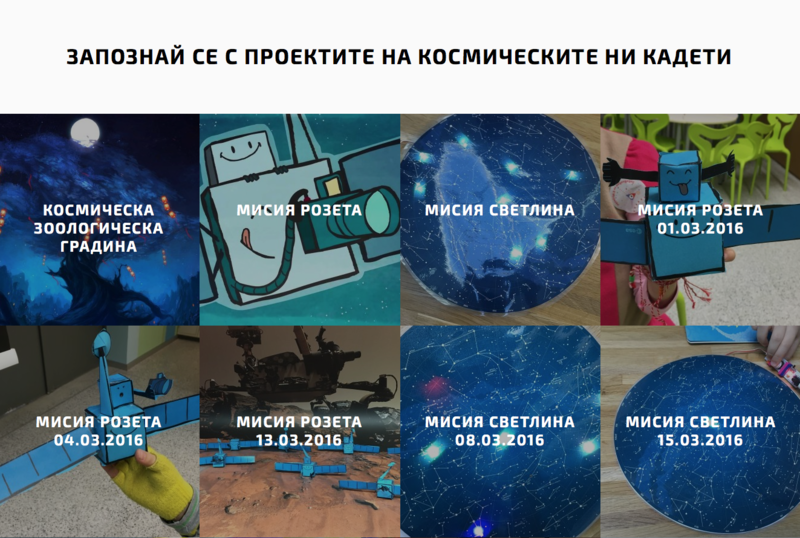 Special Concepts and Space Challenges Junior are proud to partner with Muzeiko and to deliver cutting-edge education for kids.